This set of fabulous fittings is for those fearless females looking to make their mark on the moto-world. With a wide-variety of options from the Throttle Body and Wicked Garden collections, they seek to provide solid protection, while still embodying self-expression, and ride the line well between fashion and function. 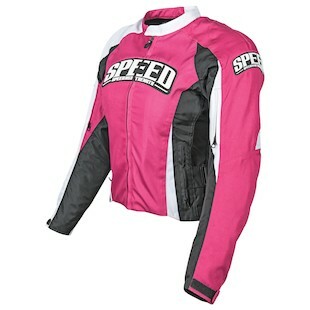 First to appear from behind the curtain is the Speed and Strength Women's Throttle Body Jacket. This water-resistant 600D frame provides abrasion resistance and full armor while while also including a "Speed-Zip" ventilation system for added comfort. The bold colorways are complete with reflective trim and are available in Black, Red, Pink, Green, and Blue. Sometimes comfort and fashion supersede protection in the hotter months. That is a personal decision to make, but we find that many riders switch out to leather vests during the summer. 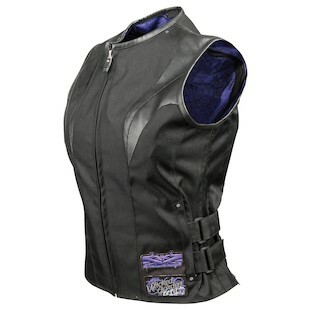 The Speed and Strength Wicked Garden Vest has a sleek, minimal design with a synthetic leather frame. Detailed with a custom-printed liner and reflective trim, take care that the Wicked Garden Vest doesn't get you busted for good looks and a bad attitude. 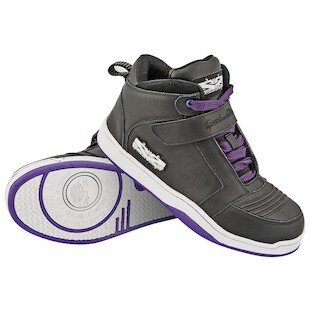 Obviously a counterpart to the vest, the Speed and Strength Wicked Garden Shoes exhibit the same Black and Purple lines with a White sole. However, there is a more subtle White/Gray option if that better suits your fancy. Including toe and ankle reinforcements with a external PU protector, the Wicked Garden Shoes are a great foothold in your riding arena, but could easily double as a casual shoe. These last two pair perfectly with the Speed and Strength Wicked Garden Gloves, while you are at it. With all this talk of the Speed & Strength Wicked Garden, you have to wonder what they are growing in there. I'm gonna go out on a limb and say brussel sprouts. That's pretty evil, right?